“They are a scourge upon our galaxy, the most vile and sadistic of all our xenos foes, and a peril to any who would ply the void in search of profit or gain. Whatever happens, should the shadow of their ships darken your path, pray you die fighting at the helm of your vessel, lest ‘fortune’ favours you and they take you alive…"
Rogue Trader is all about risk and profit. Namely, taking huge risks in the name of reaping massive profits. And what bigger gamble could there be than plucking an ancient and powerful warship from the very heart of a Dark Eldar city within the webway? The Soul Reaver starts with a heist, but things are rarely as they seem when you're dealing with the treacherous Dark Eldar. The Explorers have to bet everything more than once to survive the machinations of several competing factions within the city and come away from this web of lies and betrayal with their promised reward. Of course, the Explorers have a chance to do some betraying of their own, and to this end, The Soul Reaver contains the Dark Eldar Kabalite Warrior Career Path. This full new Career, designed for use in this adventure and beyond, allows players to take the sadistic power of the Dark Eldar into their own hands for the first time in Warhammer 40,000 Roleplay. I'm very excited about the new resources that The Soul Reaver contains for creating dangerous and memorable characters, and GMs and players alike should enjoy using these rules in their adventure through the twisted depths and perilous heights of Dark Eldar society! Check back often over the coming months as we preview The Soul Reaver, and look for it on store shelves late in the second quarter. That looks awesome - yet another solid attempt by them to get me to start buying those game books. I may at least buy that one just for the fluff and art. Location : Kaukauna, Wisconsin - U.S.A. I may at least buy that one just for the fluff and art. +1 Gotta give the Dark Eldar the love! I dont do RP's but Ill buy this for the art and the fluff , apparently it's a three parter , the wych on the cover looks amazing !!!! I'm suprised they stuck a new playable career onto an adventure module. They usually don't have much new things besides a few npcs related to the adventure. I don't really play RT but I'll definetly get this for the fluff and for the potential of running a Dark Eldar campaign. Depending on what the adventure is like, I might even be able to adapt it to our Black Crusade group. My mind said it was supposed to be Lelith - just me? Nah, she's got no daggers, I suspect they will use their own characters, great inspiration for a succubus mind. Dagnabbit, more expense, and just before 6th hits the ground. Really looking forward to seeing this though. Edited original post to show more information. I really think this is going to be a must have for all serious Dark Eldar players. I emailed FFG about a week ago regarding using their game mechanics and stats etc on our forum to make an indepth RPG. I would say I recieved a green light. Playing online is perfectly fine, don't worry. It just becomes an issue when people are posting large portions of our published rulebooks. If each supplement in this 3 part adventure contains a new career path for it like the Kabalite Warrior in this one then that would be something! Would be great for a Dark Eldar campaign which is what I have been wanting todo for some time now. Must find Dark Heresy and Dark Eldar enthusiasts within the West Herts and North London areas. Thank you for brining this to are attention SirTainly! This. I don't know squat about the game, but I'll probably get the book. A small update for everyone. I emailed an exec from FFG to enquire about when The Soul Reaver would be released. He simply stated it was the next book due for release after The Koronus Bestiary. That was announced in December, had several previews and is "mere weeks away from release". Going by that, we could wait until October for the book but I have no idea if they have a pattern for releasing their expansions. Also as it is not a core book, no collectors edition will be released. The price will be $39.95. There are exceptions in a few RPs, Like MAGUS - translate mage - where we usually have a party member with a Ranagol Paladin - sadistic, a god of chaos, pain, torment, supremacy, and has a good dogma: Dead I'm sending to you my lord, Pit his soul to a thousand torments, It's last scream of death, Will redeem my sins. Amazon lists July 10 as the release date for The Koronus Bestiary and October 9 for The Soul Reaver. Things happen and dates do change, but that`s a good indication barring unforeseen circumstances. I hope I can find a group for Rogue Trader in college. The Dark Eldar are a vile and depraved breed of sadists and murderers, vicious predators of the void who find insane strength and nightmarish vitality in the torments they inflict. Yet in spite of this – or perhaps because of it – the Dark Eldar are the latest species to become available as playable characters in Rogue Trader. While the Dark Eldar are every bit as terrible as their dread reputations may suggest, they are also a selfish, ambitious, and mercenary people. Their culture is dominated by murderous politics, where advancement and loyalty both come at knife-point, and where any with sufficient desire and ruthlessness can achieve great heights. In this regard, they are little different from many of those who travel the untamed void as Explorers, and a willing Rogue Trader may find an unlikely ally in a Dark Eldar Kabalite Warrior. The Soul Reaver provides circumstances by which a Dark Eldar character may join a group of Explorers, as well as the full rules for using a Kabalite Warrior character. In such a new ally, you may find a consummate warrior and assassin, whose powers only increase as the death toll rises. 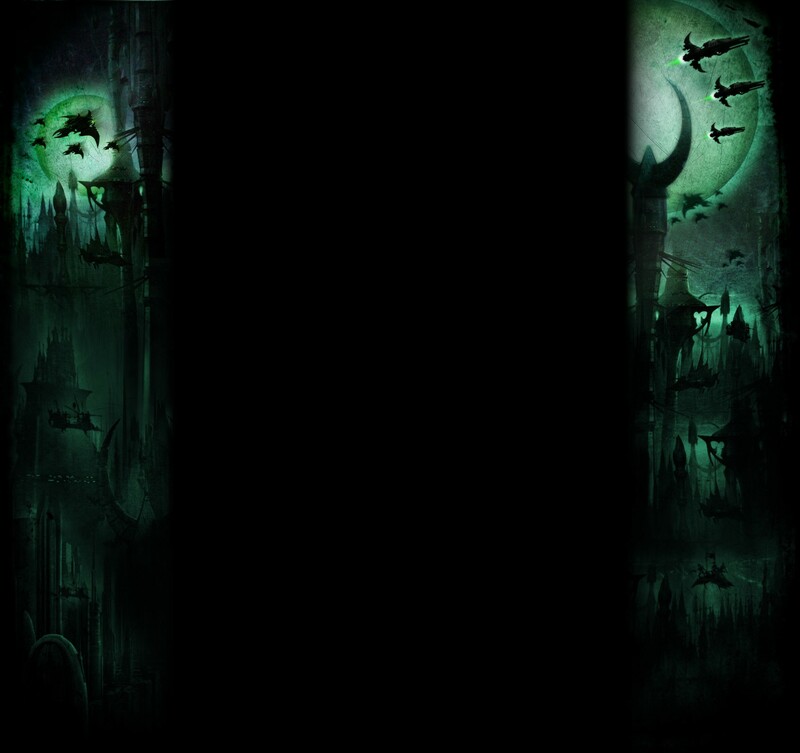 Every Dark Eldar feeds upon the pain and terror of others, and this is fully realised in game terms, with an assortment of traits and talents that represent the supernatural prowess that comes with a bounty of suffering. However, those Dark Eldar who cannot sate their unnatural thirst will find their powers waning and diminishing. Furthermore, the book contains an extensive arsenal of Dark Eldar wargear, providing each Kabalite Warrior with the perfect tools with which to spread agony and despair. However, these tools are not only for Player Characters to enjoy. 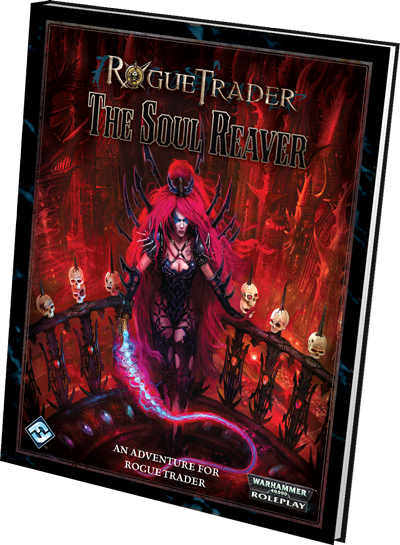 The Soul Reaver contains a bestiary of Dark Eldar adversaries, covering everything from cruel Kabalite Warriors and vicious Wyches to shrieking Reaver Jetbikers and the horrific creations of the Haemonculi. All of these employ the same kinds of equipment, talents and traits that player characters can enjoy, making them a match for any who might cross their path. To round things out, rules for Dark Eldar starships and an assortment of vehicles that use the vehicle rules from Into the Storm can be found within this book as well, turning it into a comprehensive look at using the Dark Eldar as allies, enemies or both in your games of Rogue Trader. Thanks, Nathan. Look for more on The Soul Reaver over the next few weeks, and head to your local retailer to place your pre-order! how is the game system? pretty solid? i grew up playing dnd and would like to get into another rpg. Haven't actually played Rogue Trader (tho I used the ship combat rules from it), but I've played DH and Blakc Crusade which use effectively the same system. It's pretty solid. Skills are rolled on d100 and you have to get under your skill roll (usually around 30 for starting characters, before bonuses are applied). The space combat rules I've found pretty confusing tho, and they pretty much require the use of miniatures to kepe track of the facing of the ships and such. Also, I've heard you should use psychic power rules from DH as the ones in RT are a bit overpowered. Kabal of the Dying Moon. Coven of the Cursed Crafters. I'm really waiting for it to hit shelves - I'm buying it.